If you can’t sleep because your mind is constantly buzzing, if you are fired up and cannot turn off your brain, or if you feel so exhausted all the time that you cannot complete even one of the thousand items on your never-ending to-do list, then you understand what I’m talking about. If this sounds like you, read on to discover what cortisol is, what too much cortisol can do to our body, and most importantly, what we can do to lower it. Cortisol is one of the hormones produced by your adrenal glands. It is often referred to as “the stress hormone” because it is released into the blood any time we are exposed to a stressful situation or encounter an environment that triggers the flight-or-fight response. Like all hormones, cortisol has many important functions. But it’s main job is to help your body deal with stressful situations. Your brain triggers its release when faced with any kind of stress. Stress from a bodily injury, sprain, or break. Though we often perceive stress negatively, it can be quite helpful - as in the case of an ankle sprain, a healthy amount of exercise, or when needed to escape a situation quickly. In these cases, stress can save our lives. In fact, moderate amounts of stress are healthy. But if any of these forms of stress continues for an extended period of time, the cortisol released to deal with these stressors can become more harmful than good. Living with chronically high levels of stress may be more harmful than you think. Chronic disease - Excess cortisol can lead to high blood pressure, osteoporosis, and even type 2 diabetes. Digestive distress - Being in a stress state shuttles blood away from digestive organs and to the heart, brain, and muscles to prepare your body for escape. When in such a state, functions of the digestive system fall on the back burner (there’s no benefit to putting energy into digesting food if you are not going to survive disaster!). If cortisol levels are always high, proper digestion cannot take place. This leads to digestive disorders, malabsorption of nutrients, nutritional deficiencies, and disease. Impaired brain function - Cortisol is a hormone that influences brain function. It can interfere with memory and contribute to mental cloudiness or "brain fog.” Too much cortisol has also been found to have toxic effects on parts of the brain important for cognitive functioning. Weight gain - Cortisol increases appetite and encourages the body’s metabolism to slow down and store fat. When cortisol levels are high, any effort to lose weight becomes extremely difficult. Fatigue - High cortisol interferes with melatonin production, preventing us from following a natural circadian rhythm and being able to fall asleep. It also disrupts sleep patterns, wakes us at night, and causes fatigue the next day. Infections - Stress reduces immune system function, leaving us more susceptible to infections and illness. Cortisol levels are supposed to be their highest first thing upon rising in the morning. As the day wears on, cortisol levels drop as melatonin levels rise. By the time the sun starts to set, melatonin will be at its highest - to help us get to sleep. During the night, the tables turn. Cortisol levels rise while melatonin drops to a level that allows us to wake up in the morning. Though cortisol is supposed to drop as the day wears on, sometimes it doesn’t. If we remain in a stress state all day and cortisol is continually released, any number of the problems mentioned above can result. Fortunately, there are several natural things you can try to reduce your cortisol levels. Following are 11 dietary, lifestyle, and relaxation tips that can help you lower cortisol levels naturally. Sleep - Keep a regular sleep schedule and try to get 7-8 hours of uninterrupted sleep each night. Not enough sleep can increase cortisol levels, keep you tired all day, and affect your ability to function. If you are a shift worker, nap when you can, limit distractions before bed, avoid bright lights and caffeine in the evenings, stay physically active, and try to keep regular bedtime hours as much as possible. Exercise - Exercise decreases cortisol levels in the long run. Even though stress is produced during an intense workout and cortisol levels temporarily rise, they drop at night, allowing for a more restful sleep. Plus with regular training, these stress-induced cortisol spikes become less severe. Relax - Various relaxation techniques can work to reduce cortisol. One simple activity you can perform anywhere at any time to aid relaxation and lower cortisol is breathing deeply in and out through your nose. Other activities that also aid relaxation and lower cortisol are yoga, listening to music, tai chi, and getting a massage. Find your favourite way to unwind and relax, then consistently stick with it. Have fun - Simply being happy, laughing, and having fun can keep cortisol levels down. Take up a hobby, spend time doing things you love, go outside, and laugh as often as possible. All these activities increase life satisfaction and improve overall health, including reducing cortisol levels to lower stress. Meditate - Meditating or expressing your spirituality can lower cortisol levels, reduce anxiety, and reduce depression. If you are not a spiritual person, even performing acts of kindness or joining a social support group can help. For more information on how to meditate, see the guest post about mindfulness in daily eating. Maintain Healthy Relationships - Spending time with loving and supportive friends and family can lower cortisol levels. When we feel welcome, loved, and supported in a stable and warm family, we are often happier, can handle stressful situations easier, and are more apt to practice forgiveness. All these practices lead to greater emotional and physical health. Learn what stress feels like - When you begin to recognize stressful thoughts and signs of bodily tension you can form a conscious and deliberate reaction to deal with them. As stressful thoughts are a signal for cortisol release, becoming aware of these thoughts and your body’s own physical responses to stressors then replacing thoughts of worry and anxiety with understanding and self-love, you can reduce the amount of cortisol released. This is called “mindfulness-based stress reduction.” If you can become self-aware of thoughts that provoke stress, you can catch them when they arise then refocus your awareness elsewhere. Become an objective observer of your thoughts rather than a victim to them to help you better cope with stress. Get a pet - Taking care of a pet or having an animal companion can reduce cortisol levels, lower heart rate, reduce blood pressure, and help us relax so we can better deal with stress. The health benefits provided by interactions between people and therapy dogs have been well-documented. My husband can attest to this one - our dog Berkeley remained by his side and tirelessly watched over him after his TBI. Berkeley was very in tune with Joe’s needs and knew just what he needed when. It may come as no surprise that studies suggest our pets also experience similar benefits from our love and care. So the companionship between people and animals is mutually beneficial. Practice self-love - When we feel shame, guilt or inadequate, negative thinking and higher levels of cortisol can result. Learning to love yourself, forgive others as well as yourself, and opening your heart up to love can lower cortisol and improve your sense of well-being. Supplement with fish oil - The omega-3 fatty acids found in fish oil can lower both inflammation and cortisol levels in response to stress. 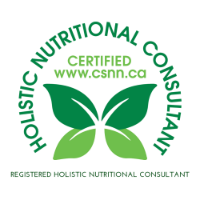 Get proper nutrition - Different foods can influence cortisol levels for the better or for the worse. Sugar, for example, is a classic trigger for cortisol release. Regular sugar consumption, then, keeps your cortisol levels high. On the other hand, a few specific foods can actually help lower cortisol levels. Dark chocolate - Dark chocolate containing at least 85% cacao can help lower cortisol when you encounter a stressful situation. Black or green tea - Over time, regular consumption of tea has been shown to decrease cortisol in response to a stressful task. Probiotic foods - Probiotic foods like yogurt, sauerkraut or kimchi increase the number of friendly, symbiotic bacteria while keeping cortisol levels at bay. Prebiotic foods - Prebiotics are what feed the friendly bacteria in your gut. As they support the growth of probiotics, by extension, they also help lower cortisol. Prebiotic foods contain soluble fibre and are found in chicory, garlic, onions, and asparagus. Water - When we are dehydrated, cortisol is released, so drinking ample water and staying hydrated has the opposite effect. Though cortisol is an essential and necessary hormone, too much of it over an extended period can result in many adverse effects including weight gain, diabetes, fatigue, high blood pressure, and difficulty concentrating. So try some of the simple lifestyle tips provided here to help lower cortisol levels so you can have more energy, sleep better, and improve your overall health and the health of your brain. As always, I’d love to hear what you think. Drop me a line or comment below with your favourite way to de-stress. And if you are looking to make 2019 your year for improved brain health, consider working with me. 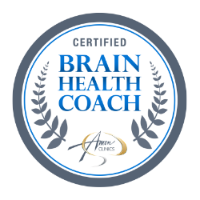 I can devise an individualized program for you to help reduce the stress in your life, boost your memory, banish brain fog, and maintain (or improve) cognitive function as you age. It’s never too late to start!